London’s recent tragedy of the Grenfell Tower fire has certainly left its mark not only on England, but around the world. Thousands of people from across the globe have shown their support and sympathies for the lives lost in this devastating event. 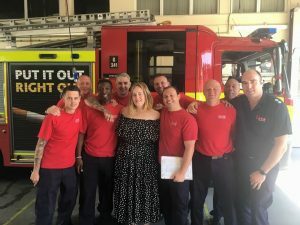 One of the world’s most beloved celebrities, not to mention our favorite; Adele, made her way to the Chelsea fire station to sit down and spend time with a group of firefighters while thanking them for their heroic efforts in addition to their hard work and dedication in trying to save lives throughout the disaster, in what we’re calling celebrity tea time. How did she thank them? “She just turned up at the station and knocked on the window and said she has some cakes for us,” station manager Ben King said. 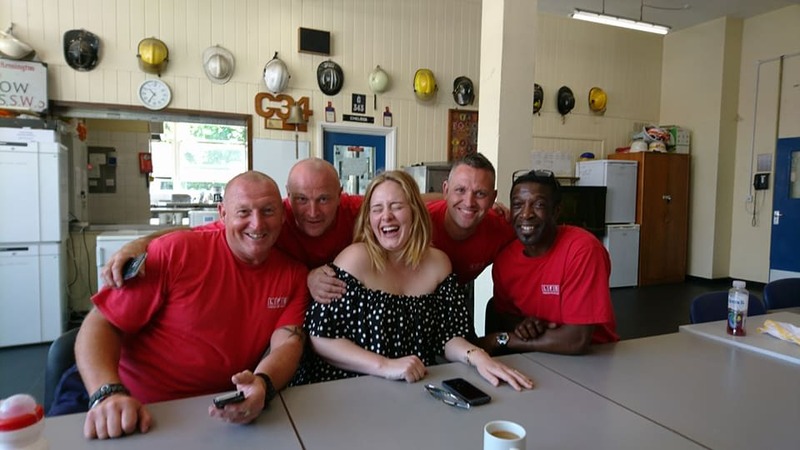 According to firefighter Rob Petty, Adele visited the firefighters to have tea and cuddles with them, showing her appreciation for everything they have done (and continue) to do. It was Soshitsu Sen who once said that “a cup of a tea is a cup of peace,” and with Adele showing love and respect for the men and women who have and continue to help battle this massive tragedy, we have a feeling Sen was right. This entry was posted in Other, Uncategorised and tagged Adele, tea. Why Do Tea Subscriptions Make the Best Gift?